We're holding a National Day of Dancing on April 30th for #DareToCare and we need your help! 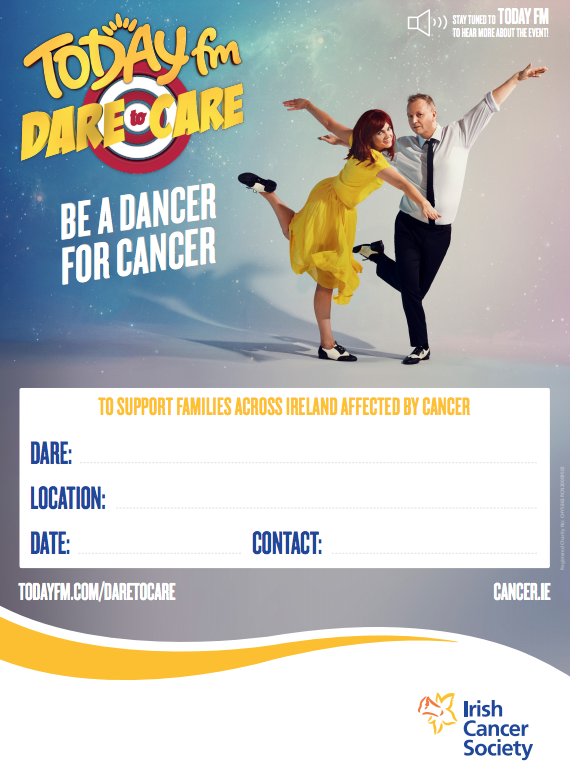 Get your school, your dance club, your office, your family and your friends involved by setting up a fundraising page and registering your own day of dancing fundraisers here: cancer.e/daretocare no matter where you are in the country. Personalise your Justgiving page - tell your story! Plan your dance – dance it solo or gather your squad. Be a Dancer for Cancer It’s as simple as that! If you can't commit to April 30th you can hold your fundraiser on any day before or afterwards and still donate! Head HERE to download your poster for your event to help spread the word! 7. Invite your team members to join! You can also call the fundraising team on CallSave 1850 60 60 60 and donate/lodge your funds by debit or credit card. All cheques must be made out to Irish Cancer Society. 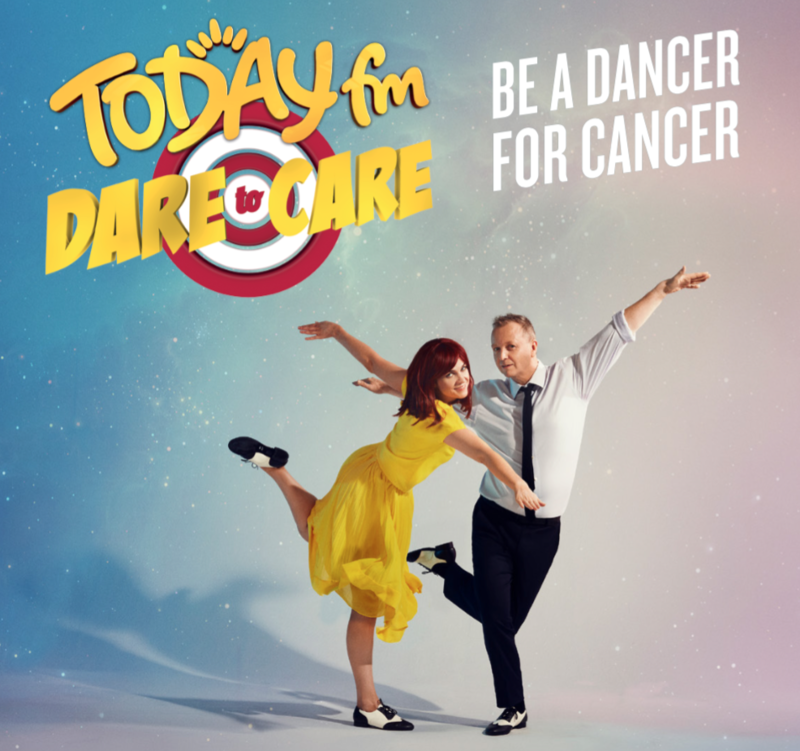 At any time at all, you can pick up your phone and text the word DARE to 50300 to donate €4 to the Irish Cancer Society. You can reach The Irish Cancer Society here: fundraising@irishcancer.ie or call 1850 606060. Irish Cancer Society Night Nurses ensure that families of patients and their loved ones remain in the comfort and dignity of their own home. €306 provides one night of care for a patient during the last days of their life.